The North End is one of Boston's most iconic nabes. One of the focal points along Boston's Freedom Trail, The North End is home to many famous, historical landmarks like the Old North Church and Paul Revere's House. The North End was the tragic site of the “Boston Molasses Disaster” in 1919, when a 2 million gallon tank of molasses burst, flooding the streets with sweet, sticky, and surprisingly fast-moving liquid. North End residents will proudly tell you that the streets still smell of molasses on hot summer days. This neighborhood will always be a beloved part of Boston-lore–and did we mention the food here's delicious? Dear North End, I Love You…(Maybe A Little Too Much). How do you sum up this tiny little neighborhood? If you live in the North End, then you know what it means to be a part of a neighborhood. Always running into friends and neighbors, great places to waste a stolen day off, just sitting in an unpretentious or pretentious (if that’s your thing) cafe, listening to people swear at each other in a few different languages, all which tourists believe is Italian. Sunday mornings in the summer you will find yourself roused from sleep by marching bands, people carrying shrines and fun, happy screaming. If your hungry, you can either stuff yourself with places like Mother Anna’s for classic Itallian, Artu for real Italian, Neptune Oyster for amazing seafood or Goody Glover’s for pub food and beer. There is ALWAYS somewhere to go in the North End. Pompeii on Hanover will sell you pizza until 4 am and, if you miss that you can try to snag a ham and cheese pocket from Bova’s 24 hours a day. It’s honestly one of the best neighborhoods on Earth. Surrounded by water on three sides and separated from the rest of the city by the (some what) new and beautiful Rose Kennedy Greenway… A great place to waste time in the summer with people watching and fountains!! Move here and you will not only know your neighbors by name but you will know the guy who sells you your fruit, the people at the bank, the name if the cat at The Connah Store and Frankie, who will ask all ladies if they would like to either get coffee or, if you’re looking especially hot, a slice of pizza but, you don’t have to answer right away, he’ll politely give you his number on a napkin, so you can call him at your own convenience. The North End is one of the most culturally distinct neighborhoods in Boston because of its immigrant past. At its start the North End was actually dominated by Irish and Jewish immigrants, but more and more Italians moved here at the turn of the century. Then the neighborhood was isolated for many years when the Big Dig cut it off from the rest of the city. The result is a culturally preserved, quaint neighborhood where old men still play bocce and smoke cigars and young women get their heels caught in the cobblestone streets. I have to admit though, I sometimes dread the thought of coming here because of the long lines and the tourists. Most of this can be attributed to one bad experience at a sweltering hot, crowded summer festival. For the most part, this is a lovely neighborhood and the closest thing to a European feel that Boston’s got. fruit at Haymarket early on a Saturday morning and having a picnic on the grass. The Rose Kennedy Greenway is a beautiful park that food trucks often park around. But prepare yourself for a calorie-laden visit anytime you eat in the North End. It’s impossible to resist the cannolis, the thin crust pizza, the fresh baked bread and mozzarella. Young professionals have established themselves in the North End in small, pricey apartments. The location, right in downtown Boston and with great transportation links, is unbeatable. Amazing food, rich culture, cheap rent. Ahh, the North End. Spaghetti, old Italian men, cannolis, and tourists. The North End is probably most well known for its food. Equally delicious Italian can be found throughout the city however nothing makes it taste better than eating it in this mecca of Italian culture. The North End oozes gritty charm, just think of an entire city nabe trying to recall the mother country and you’ll understand what I’m talking about. The nabe hosts Italian Catholic festivals complete with phenomenal street food, statues of the Virgin Mary, and of course, old Italian men. The North End has become a veritable hotspot for recent grads seeking cheap rent and good location. The nabe itself is a bit gritty and cramped with pockets of historical treasures and that translates over into the apartments. The apartments are pretty old and small but you know what? It just sort of adds to the North End charm and gives the apartments more character. You also can’t argue with the location: near the waterfront, great food, and steps from the T.
Ah, the North End! What can I say about one of my all-time favorite neighborhoods? How can I eloquently capture all of the charm this “Little Italy” contains? If you’ve heard about the North End, then you know it’s all about Italian. And you also know about the fantastic, mind-blowingly satisfying dining options. And you probably know about the growing retail scene here: local stores selling the most adorable things that make you want to buy out the whole inventory (been to Shake the Tree, anyone? Go immediately). It’s a young city girl’s dream. The main street, Hanover, can be rather cramped, but it’s all part of the entracing vibe of the neighborhood. Store owners are conferring with each other and their customers, old men are sitting out on the sidewalk chatting, and the line for Mike’s Pastries is winding out the door (same for Modern Pastries). 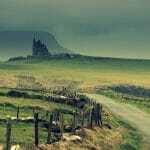 You may have to jostle a few people to reach your destination, but hey, they don’t mind. People get to know other people here, and not just if you’re living here. While you might see the fruit and vegetable guy chatting with one of his regulars, you’ll also see couples on dates learning about each other over cappucinos. This can extend well into the night, as the bars and restaurants are open fairly late (for Boston anyway). The Improv Asylum, which puts on a great show, is also housed on Hanover. If you’re going to spend a day here, be sure to squeeze in a stroll through Christopher Columbus Park, which is on the waterfront. It’s a beautiful area, and they also light up the overhanging trellis at night. I could go on and on about the draw of the North End, I really could, but if you’ll excuse me, I’ve worked up a craving for the North End atmosphere, so I’m going to be hopping on the T to Haymarket. Do you remember the beginning of Goodfellas, with retired mobsters sitting outside the coffee shops playing cards? 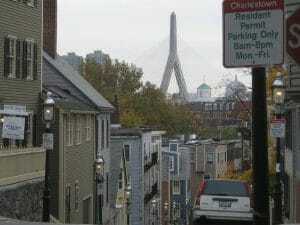 That’s the North End; but don’t be intimidated, get excited! 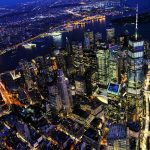 Over the last 15-20 years, the area has really formed it’s own niche, with the young professional population taking hold of its nightlife. 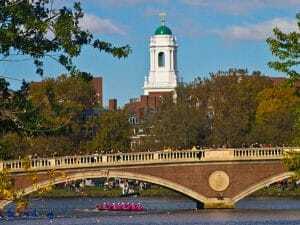 If that scene isn’t enough, take the 7 minute walk to Faneuil Hall which has even more bars and restaurants filled with the teeming young population in Boston. If you’re looking for fresh pasta and cheeses, head right this way as it holds the city’s largest Italian population; that means great restaurants and markets, with products imported directly from overseas and specialties available daily. Markets run during the summer when the weather is fine, and since the entire area is surrounded by water, it’s pleasant to walk around. This region is primarily residents and families, but tourists will surely come for the chance to get some of New England’s finest Italian cuisine. Walking may look intimidating on a map, but the area is very small. On a rainy (or snowy) day though, public transportation is so easy in the North End with Haymarket and North Stations just blocks away. Don’t even try to drive though; parking is extremely difficult, unless you’re looking to pay for the day in a garage. And if you prefer to travel by air, be sure to hop on the fairy that takes you from the harbor to Logan International Airport. The harbor is gorgeous as well, with a small park to relax and enjoy the breeze the Boston Bay brings in, so long as you can endure the loud noises of the youngsters playing on the beautiful days by the water. The North End certainly isn’t for everyone, but it’s a quaint area with a strong sense of community that you can easily fall in love with. While walking through the North end, the aroma of baked goods fills your nose. Maybe that’s why Mike’s Pastry, a famous bakery in the North End, always has a line out the door, around the corner, and around another corner. Bakeries are not the only arousing scents as Italian restaurants fill the streets. If you want pasta, pizza, and gelato, the North End is perfect. There are many options to choose. You will get authentic Italian food, as many of the Restaurant owners are Italian immigrants. They give the North End an authentic feel, as if you are not in Boston but in Italy. While strolling down the streets, you will hear men working at the restaurants shouting at you to come in and dine. Whether you have money to spend or just want a cheap but satisfying meal, there is a restaurant for you. Shopping is a not a big plus of the North End but there are little boutiques where you can buy trinkets or souvenirs. The shopkeepers are friendly as are most people in the North End. A better place to shop that is walking distance from the North End is Faneuil Hall. There you will find restaurants from seafood to all American hamburgers and fries. Also in Faneuil Hall there are many of the typical clothing stores such as Urban Outfitters, Victoria’s Secret, and American Eagle to name a few. Walking the streets of the North End you will hear Italian accents and drunken college students coming back from a late night. The old architecture of the restaurants and apartments give the North End a homey feeling. The layout makes for a community where you can go to sleep when you want without being bothered by outside noise. You can walk mostly anywhere and the Haymarket T stop makes it easy to take the subway to farther places. 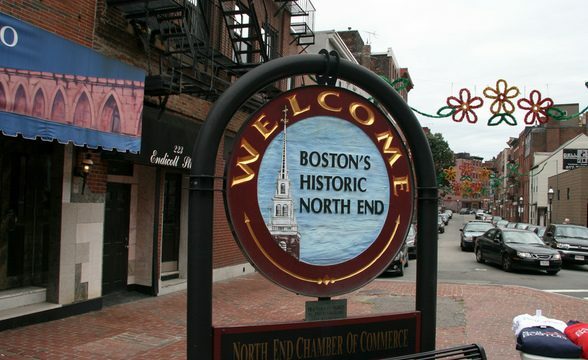 The north end is both a place for residents and visitors. There are many hotels surrounding the North End making it easy for visitors to dine at North End restaurants. 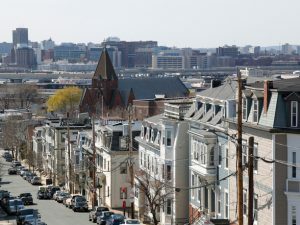 People who live in the North End have a neighborhood close to everything, safe, and convenient. If they get tired of Italian, as most do I’m sure, there are many other places just in walking distance. For exercise they can stroll on down to the Boston commons or any of the gyms along the way. The North End represents an older, simpler kind of Boston life. When you walk into the North End it is full of the smells of Pastas and Pizzas. The community here is strong of Italian bakeries and food shops and pastry makes and bakers. Its known for its strong community as the immigrated italian area. You are also close by to Chinatown and the commons. You are in the heart of Boston when you enter here. You can feel a somewhat sense of European air to the place. Lots of tourists visit nearby so they sometimes make their way over to visit the North End as it is known for its decadent wines and meals. Its definitely a Romantic Getaway and very beautiful. 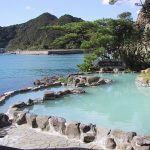 Everything is close by with convenient stores and the nearby Harbor. I can not speak for those that live there but it is a very beautiful area to visit. If you can find yourself waking up here and feeling inspired everyday I do suggest it with everything in walking distance nearby! Somewhat removed from the rest of the city, the North End is the Italian haven of the city. Hanover Street, the main drag, is packed with Italian eateries, most of which seem to be kind of overpriced for pasta. But, the selection is amazing, and there are lots of good meals to be had. Check out Giacamos if you don’t mind waiting in line or, if you do, Panza is a nice choice for a relaxed atmosphere and nice selection. If you’re looking for something fancy, Lucca is your best bet – chic and classic, always a failsafe choice. Move away from Hanover and the crowds of tourists and slow walkers, and you’ll find Bova’s Bakery, open 24/7, and offering a fair selection of pastries, calzones, and breads. Tourists like Mike’s, known for their canoli, but Bova’s is just as good. Lulu’s is the place for cupcakes, though. Living in the area, grocery stores aren’t really the best – small, expensive, and with a relatively limited selection. Likewise, tourists love the place, so you’ll have to find your way with some of the back streets if you want to get anywhere quickly. The neighborhood is safe though, and with easy access to the waterfront. Always a good thing. Easy access to the rest of the city with the Green Line, although the trains do seem to take forever to show up, or with the Orange Line, both at the Haymarket stop. The place is packed with charm and history. Paul Revere’s house is still here, one of the finest examples of New England Gothic architecture, and it’s set on a heavily cobbled street. Footwear beware. Likewise, the Old North Church is here, and the apartment blocks are all charming in their own ways.